Comments: This cultivar has leaves up to 15 feet long and 1 1/2 feet wide with the underside and midrib red. Bananas my flower and fruit at any season of the year. Ensete are monocarpic which means that after flowering and fruiting the plant dies. After the stalks die or freeze to the ground, they should be removed. 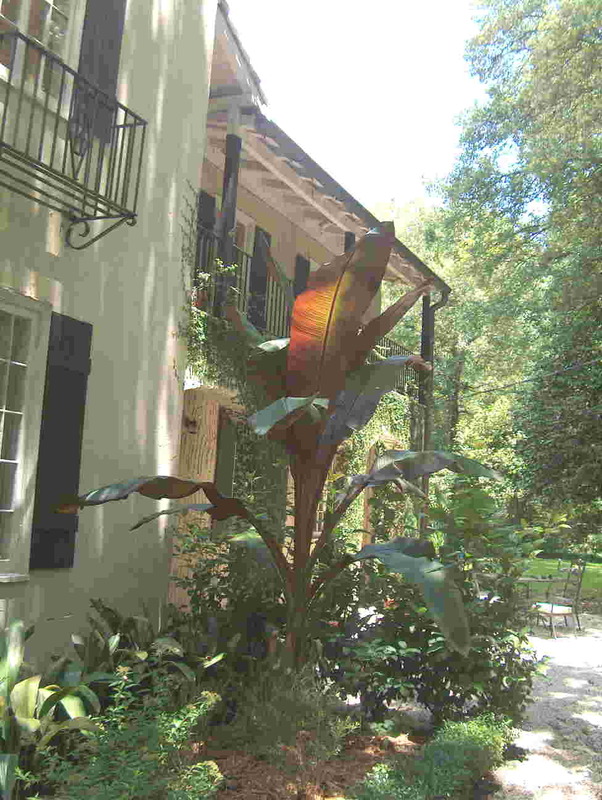 Banana plants lend bold, tropical texture to the landscape.